Your home’s roof is one structure where you should always get professional help. Many people enjoy doing projects around the house, but it is dangerous to work high up on a roof with no professional training. While you should have a professional roofer come out once a year to inspect your roof, you also need to contact one if you notice any of the following signs of damage. Every so often you’ll want to take a good, hard look at your roof from the sidewalk. By paying attention to your roof’s foundation, you should be able to tell if it’s beginning to sag. Even if you only suspect sagging, you’ll want to have someone come out to inspect it, as this can be caused by a few different things. Your gutters always need to be clear of debris so that they adequately move water away from your house. Homeowners need to inspect their gutters often, especially during the fall and winter when leaves are falling more frequently. If any of your gutters have previously sustained damage, then you should have a roofer come out and inspect around it to make sure the roof hasn’t been impacted. Your roof’s shingles should always be in good condition, however, you may notice over time that some shingles are starting to crack. It’s also common for shingles to fall off entirely leaving behind patches. This is more likely to happen if you live in an area that is prone to high winds. One or two missing shingles is not overly concerning, although you still want to have it looked at to avoid additional damage. If your roof is missing a large amount of shingles, then you may have an underlying structural problem that needs to be addressed. At the first sign of any of these or other roofing problems, contact the professionals at Andrews Roofing right away by calling 757-296-0553 or using our contact us page. 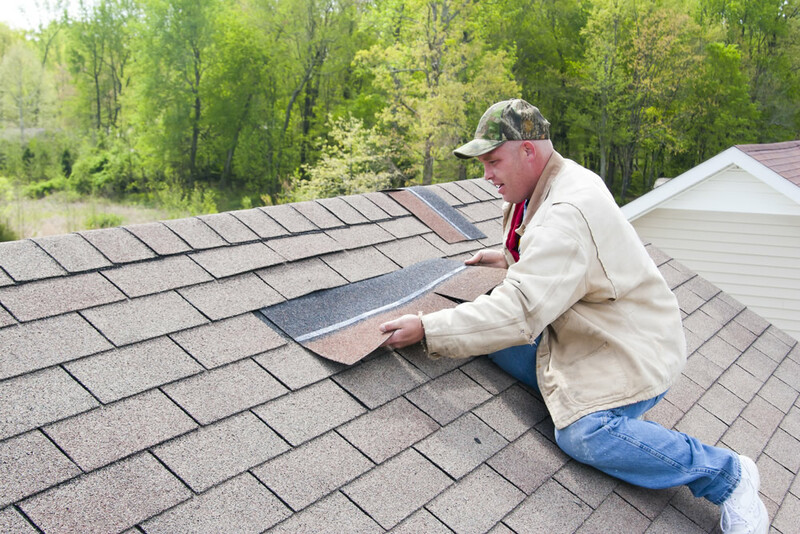 Prompt repairs help you avoid more serious problems and save your roof. With our help, your roof will last for years to come.